It is unlikely that Government will contemplate selling sugar lands at the closed estates that are up for privatisation in any wholesale manner. Rather, other than allocating small portions for housing and public infrastructure, the idea is to keep the lands for continued sugar related activities. 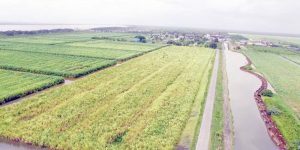 The lands for the four sugar estates, when Government goes ahead with the privatisations, involves thousands of acres of prime farm lands on the coastlands, stretching from West Bank Demerara to Corentyne, East Berbice. It has been in sugar cultivation for decades and decades. Officials have been saying that it will look favourably at leasing the sugar lands attached to the four closed- Skeldon, Rose Hall, Enmore and Wales- with sales not likely. The lands are valued in the billions and billions of dollars. Last week, President David Granger was clear that lands were beyond valuable. In fact, he said that it was like the “family jewels”, he told reporters in response to questions from Kaieteur News, about the privatisations process. The president also noted that private citizens might need lands. He disclosed that the State Land Sales Commission is meant to reconcile the differences among these various agencies while at the same time make a profit on those lands which will not be going back into sugar. 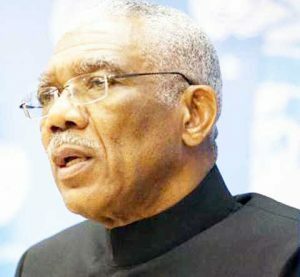 Admitting the difficulties facing the industry, Granger said that it is a very competitive one in terms of the international environment in which many people are moving away from sugar and going into artificial sweeteners. According to the president, GuySuCo is critical to Guyana. President Granger has assured that it will not sell out any lands that are part of the close sugar estates. In fact, he said, it is the hope to produce between 147,000 to 150,000 tonnes of sugar. According to the President, there has been a tendency or temptation in the past to put persons who might be socially prominent. However, this practice was frowned on by Granger. The three estates that now comprise GuySuCo are Albion on the Corentyne, Blairmont on West Berbice, and Uitvlugt, West Demerara. The fortunes of GuySuCo have fallen from once bring ‘King Sugar’ to now being a thorn in the side of consecutive governments. It has been producing less and less over the years at thrice what it was selling for, yet demanding billions of dollars in bailouts. There are several offers on the table including a total buyout of the sugar industry.